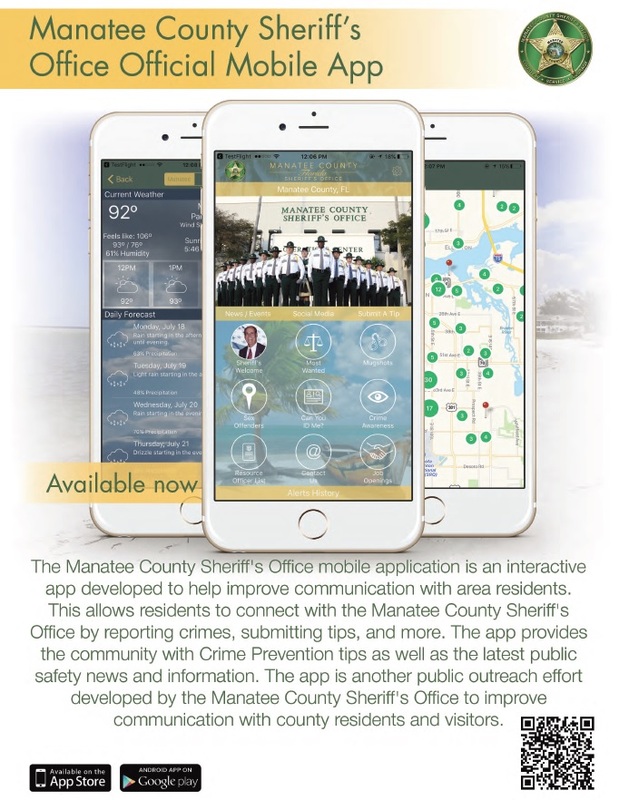 The Manatee County Sheriff's Office mobile application is an interactive app developed to help improve communication with area residents. This allows residents to connect with the Manatee County Sheriff's Office by reporting crimes, submitting tips, and more. The app provides the community with Crime Prevention tips as well as the latest public safety news and information. The app is another public outreach effort developed by the Manatee County Sheriff's Office to improve communication with county residents and visitors.